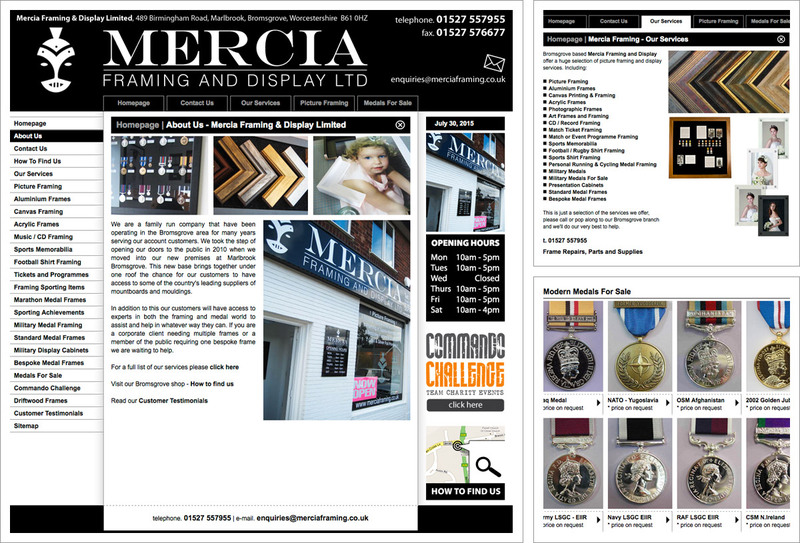 A website for family run framing and display business, Mercia Framing based in Bromsgrove. The website provides lots of information about the services available from Mercia Framing, an online contact form, location map and a good selection of customer testimonials. We also created business stationery to include the same distinctive company brand.